We’ve been fortunate enough to have different Grado’s be featured in multiple holiday guides this season, and now it’s the RS1e’s turn. 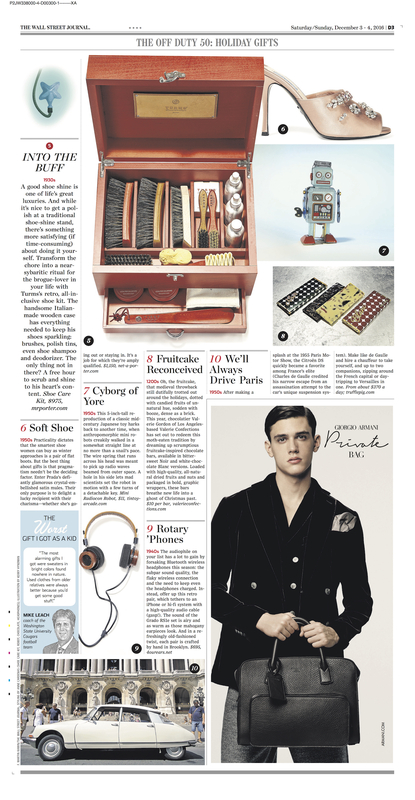 The Wall Street Journal had the RS1e featured in their “50 Presents with a Past”. You can see the WSJ feature here or scroll down to see a scan of the newspaper. The RS1e appreciates it!